Son had this treasure basket on his shelf and didn't seem too interested until I pulled it out for him. 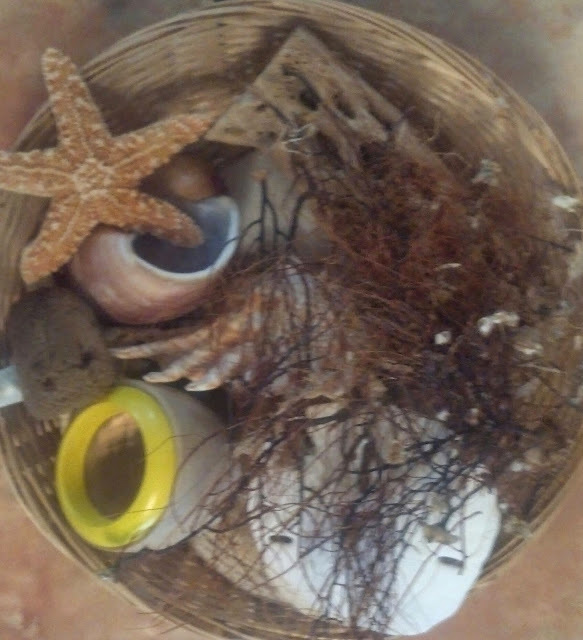 It included various shells, a piece of drift wood, a sea sponge, fan coral, snail shells, a sand dollar, and starfish. 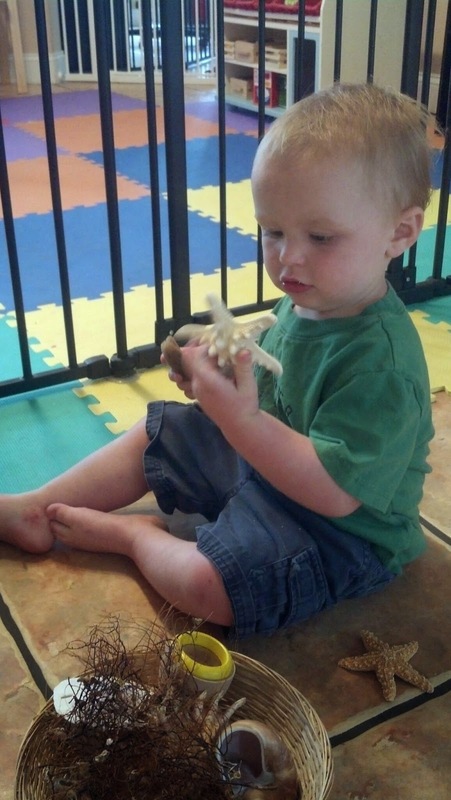 He really liked the sea sponge and the sand dollar, which broke. There was also a wooden kaleidoscope. Unfortunately the fan coral went EVERYWHERE! I vacuumed and I'm still finding little sticks. 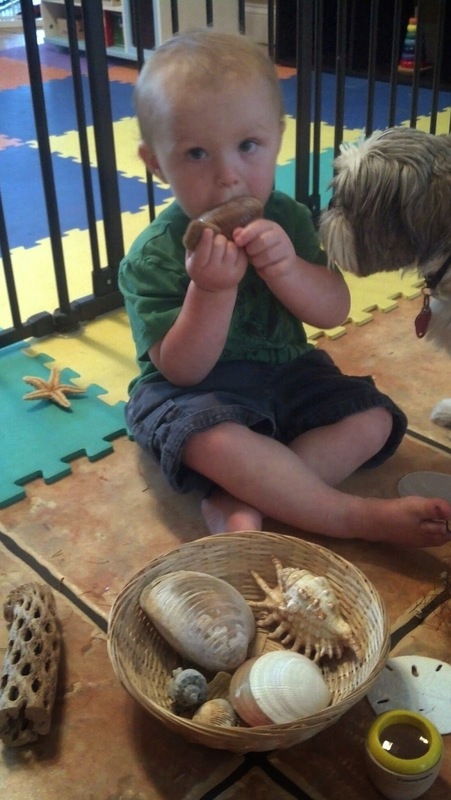 Something in the basket was driving Gizmo crazy. What a weirdo!